Leslie Dowling, who hails from South Woodham Ferrers, received a call from a family member about a hedgehog running around. Her husband’s Aunt Pauline, who had just had major heart surgery, was forced to spend a lot of time at home. One morning, just outside her bedroom door, Pauline noticed the little hedgehog running in circles. She knew something was wrong and called Dowling, who had previously overwintered and raised two baby hedgehogs before releasing them. 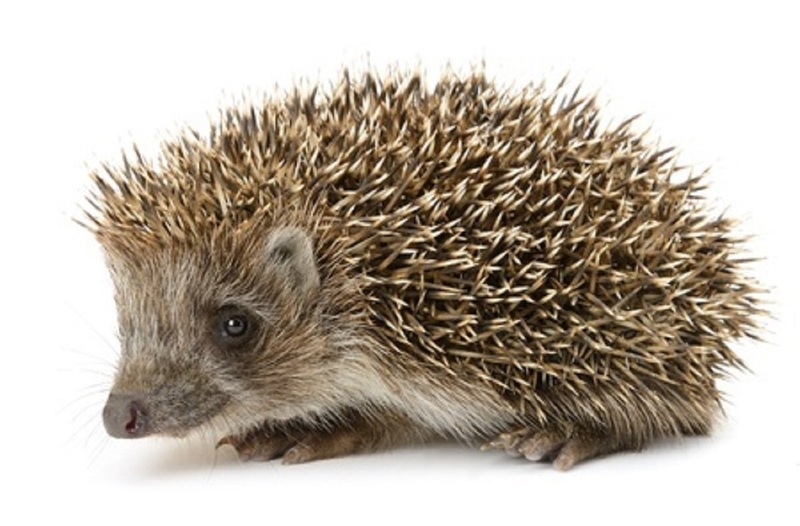 “She was not well enough herself to help the hedgehog further, so I went to look at him,” Dowling said. She ultimately rescued the hedgehog but quickly noticed his head was bloody and that one eye was “on top of his head.” Dowling figured he might’ve been struck by a car or a bike, and she took him to the vet to get medical attention. The vet informed Dowling that the hedgehog was blind as a result of his injuries, and that she could put him to sleep or opt for surgery. After the little guy had stabilized, Dowling decided to go through with the surgery, wanting to give him another chance to live. With the surgery successful, Dowling brought him home with dissolvable stitches and a new name—Stevie Wonder. Stevie now lives happily with Dowling and her husband, but his new home wasn’t without further trials at first. While adjusting to his new environment, Stevie unfortunately lost his foot. During his first winter hibernation, Dowling noticed he’d woken early. She saw his bedding material was caught around his leg and had cut off his circulation. She immediately took Stevie back to the vet. Despite being through a lot, little Stevie Wonder has persevered through it all. During the afternoon, he stays in a grassy outside pen and lives a comfortable life. Dowling and her husband hope he’ll return to his rabbit hutch house at night when it’s warmer. “With a bit of luck, he will hibernate properly at the end of this year and live a long and happy life,” Dowling added.